Every fan has their own ideal set of figures that are seminal to the foundations of heavy metal and Lemmy Kilmister has always been a part of that set. As the new decade has rolled over, Lemmy, at 65, has a career spanning six decades, with no sign of slowing down or changing a damn thing. 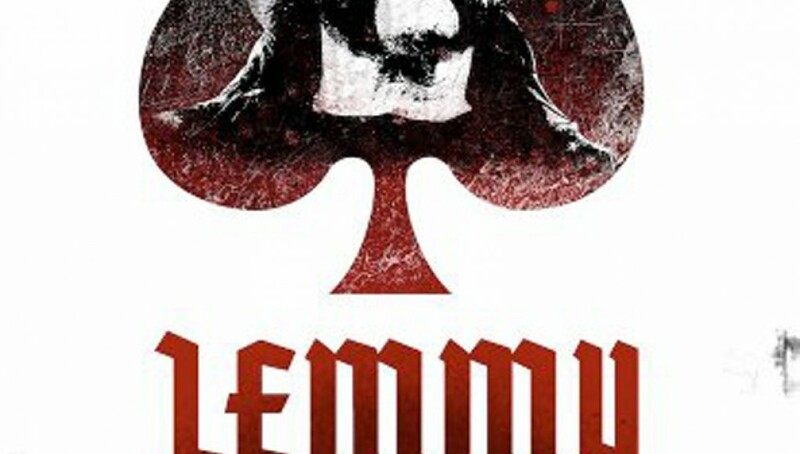 Lemmy examines Lemmy’s career, lifestyle and impact on Western music, much of which should impress a fan of any sub-genre of rock. 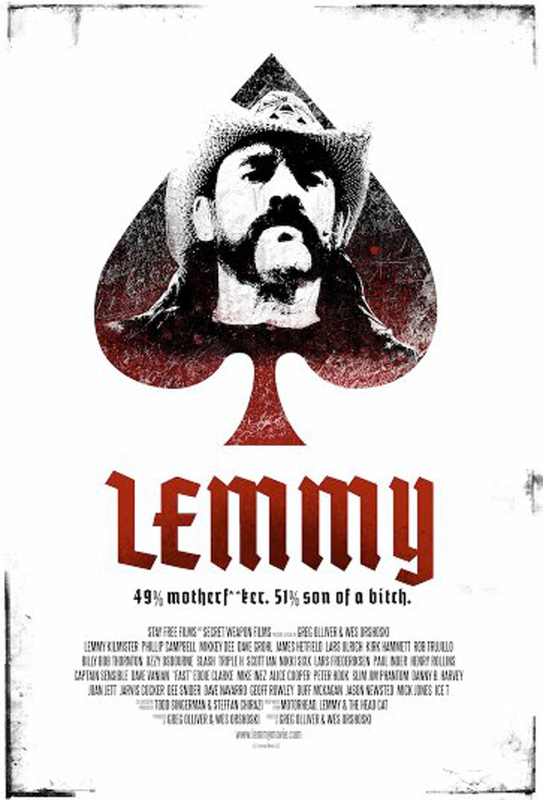 Without a direct chronological narrative, Lemmy, produced and directed by Greg Olliver and Wes Orshoski, reveals Lemmy’s live and let live ideology even into his mid-60s. He plays video games, in his house, on his phone, in bars. His home is filled with trash, memorabilia (both Motörhead and World War II), and his proudest, most valuable possession, his son. As Henry Rollins explains, Lemmy grew up in a time before rock n’ roll; cut his teeth on Little Richard and Jerry Lee Lewis, was a roadie for Hendrix, and has his own place in rock n’ roll history with The Rockin’ Vickers and Hawkwind long, long before Motörhead. Lemmy might be still drinking Jack and Coke into his later years, he might still curse like a sailor, but few rockers are continually as down to earth as Lemmy. Signing autographs, pictures, never saying no. His stage performances still reach 120 decibels. Lemmy is a staple among metal music scene, yet the lower points in his life (at least how Lemmy may consider low points) were few and far in between. One particular moment that his son explains is blown over quickly by Lemmy himself, but the rest of his career seems to be of that of a man who just wants to rock, anywhere, any time, nothing is too good for him. Lemmy is relatively straight forward and does not have aesthetic choices beyond shooting the damn thing, portraying it, and moving on. There is no better way to explain Lemmy’s own ideologies. He does not care what you think of what he wears, even if its short shorts on a hot summer day. He does not care if you are pissed if he said your band was a novelty (The Darkness). And medical afflictions like diabetes have not slowed him down, only given him a new route to rock harder. You do not have to enjoy Motörhead to know that Lemmy has an important place among heavy metal and its parent genre rock n’ roll. For being a forerunner to punk and metal, Motörhead’s songs have, once you strip away the distortion, rock n’ roll tendencies. Once you heard Elvis, there was no going back as Lemmy claims. Lemmy’s style is more of a rhythm bassist which is why his bass lines are so hard driving that the guitars only add higher notes to the melodies. Much like Motörhead shows, this documentary should be played loud, really loud. If you were looking for the chronological examination of Lemmy’s career, you will be disappointed. If you thought Lemmy lived a larger than life persona and became a different person off-stage, you will be thoroughly surprised. Lemmy is a common person, eating french fries and playing video games, trash piling up on the coffee table, and collecting items that interest him. He is most of my friends in my undergrad college years. Lemmy explains that Lemmy does what he wants, when he wants, and on his own terms, but is always willing to take the time to reminisce and take a photograph, but never smiles, because that would not be cool.